Pretec offers a complete spectrum of small form factor memory cards and card readers, USB flash drives, communication peripherals, and industrial storages. It's best selling Pretec memory card types are mainly Pretec 16GB 16G SDHC/SDXC/ 667x Class 16 and Pretec667x series. 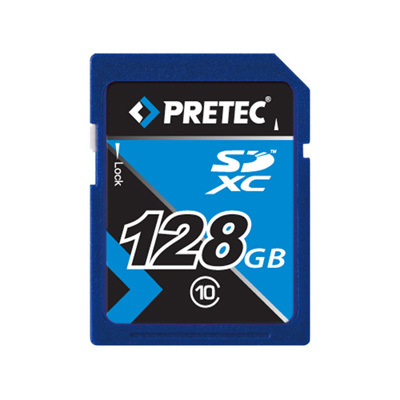 Some of Pretec Memory Card users may lose their important files from Pretec memory card when using the card in daily life due to sudden deletion, formatting, memory card corruption, virus attack, system crash and other reasons. 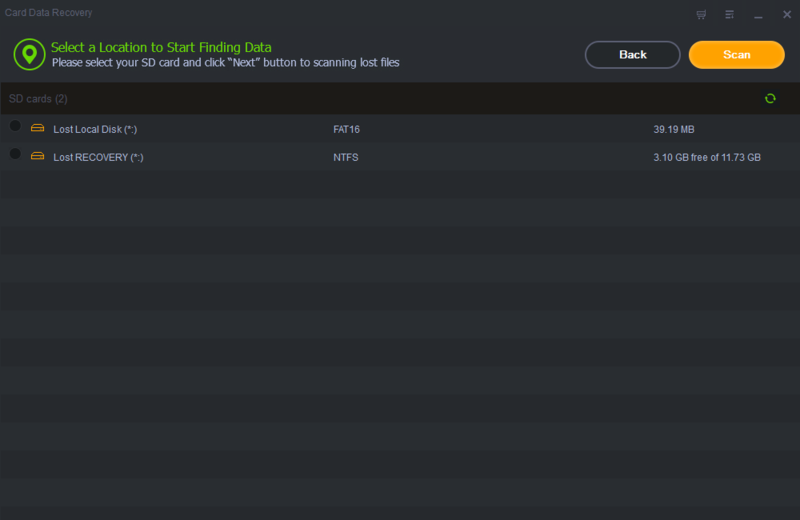 What can we do after data loss? Firstly, we should know that the lost data due to deletion or formation is still exists in the Pretec memory card and you can't find and access these files directly unless you have Pretec Memory Card Data Recovery tool to help you. Secondly, stop using your Pretec memory card immediately once you find your data is lost to avoid data overwriting because existed files can be overwritten by new adding ones. Shining Card Data Recovery software is professional program to help Pretec memory card users to solve data loss problems. 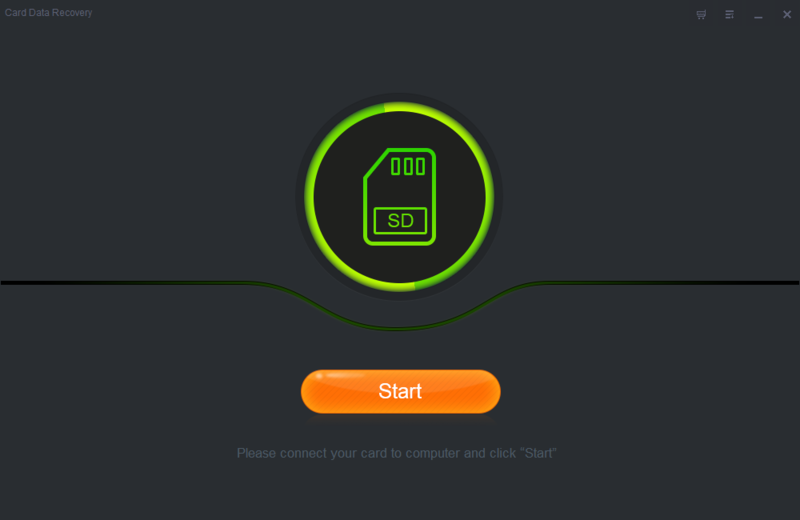 It is an efficient card Pretec SD Card recovery app which allows you to recover photos, videos, archives, documents and more file types stored on your Pretec Memory Cards. Connect your Pretec Memory Card to computer. 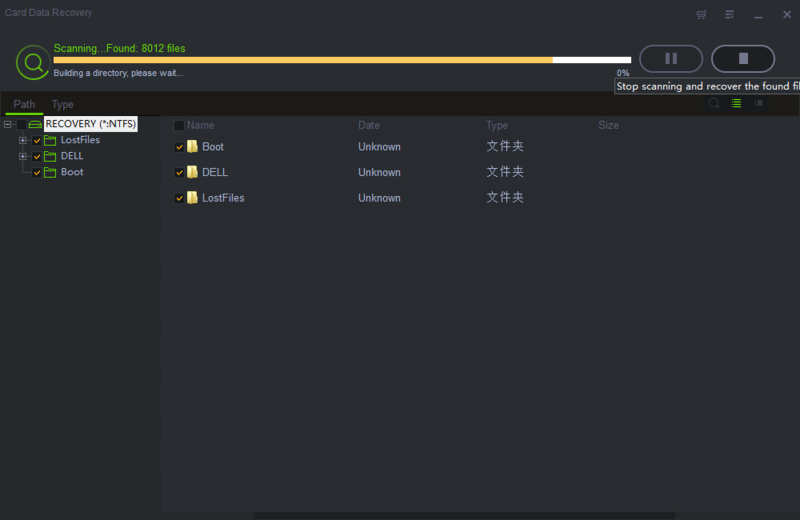 Install and run Shining Card Data Recovery. Click "Start" to go the next step, and then click "Scan". 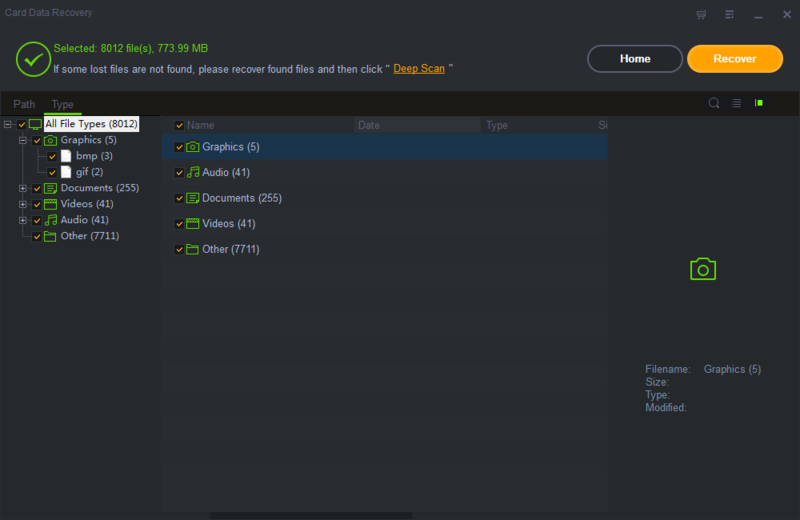 Select the files you need and click "Recover" to save them to your computer. Note: Please do not save the restored data to your Pretec Memory Card again after the recovery.